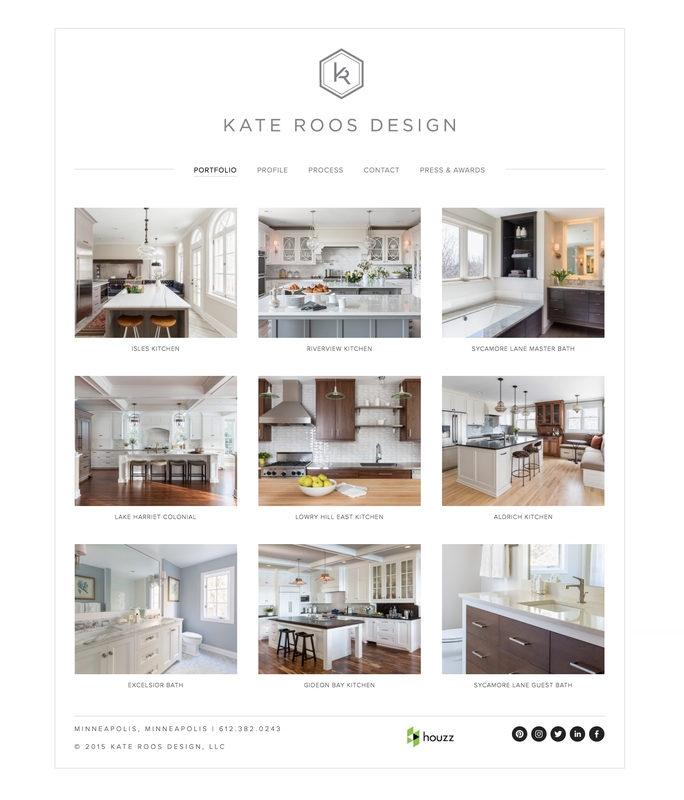 Kate Roos is a Minneapolis based Kitchen and Bath Designer focused specifically on cabinetry design for the whole house, space planning and material and product selection. 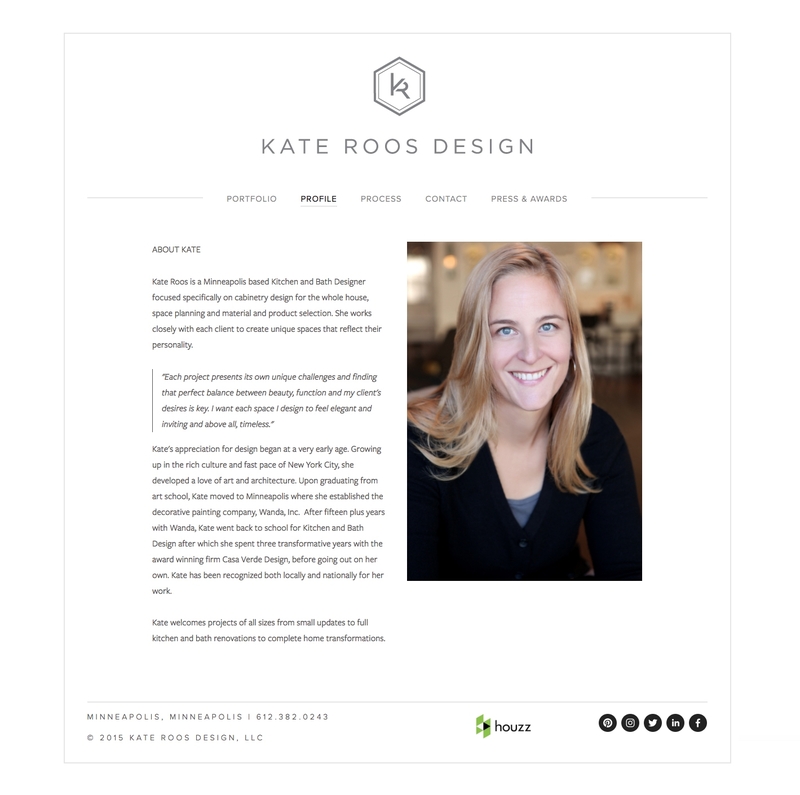 As a new business focusing on high-end clients, Kate Roos Design needed a brand strategy, including logo, business cards and a website to showcase her work. 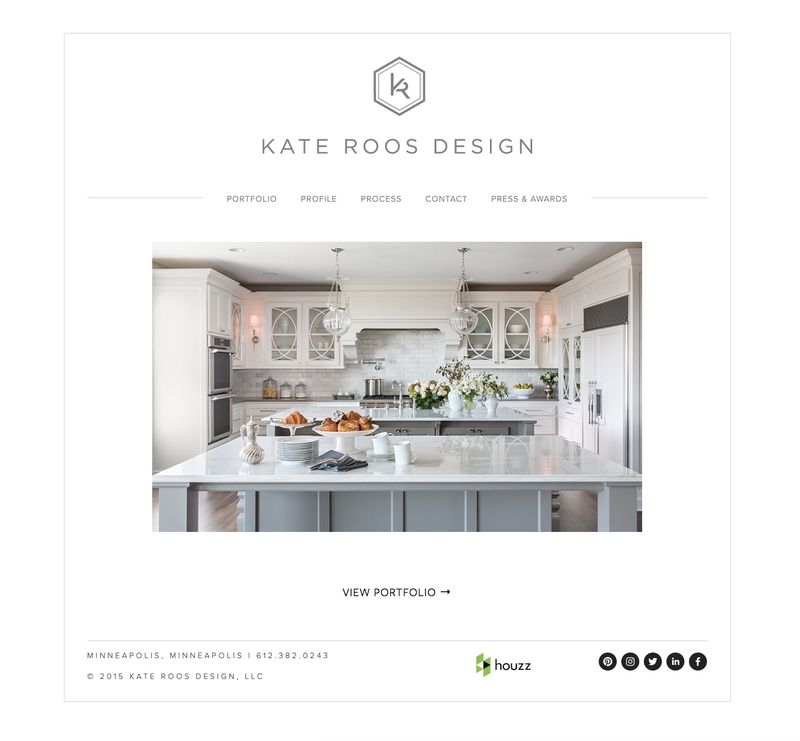 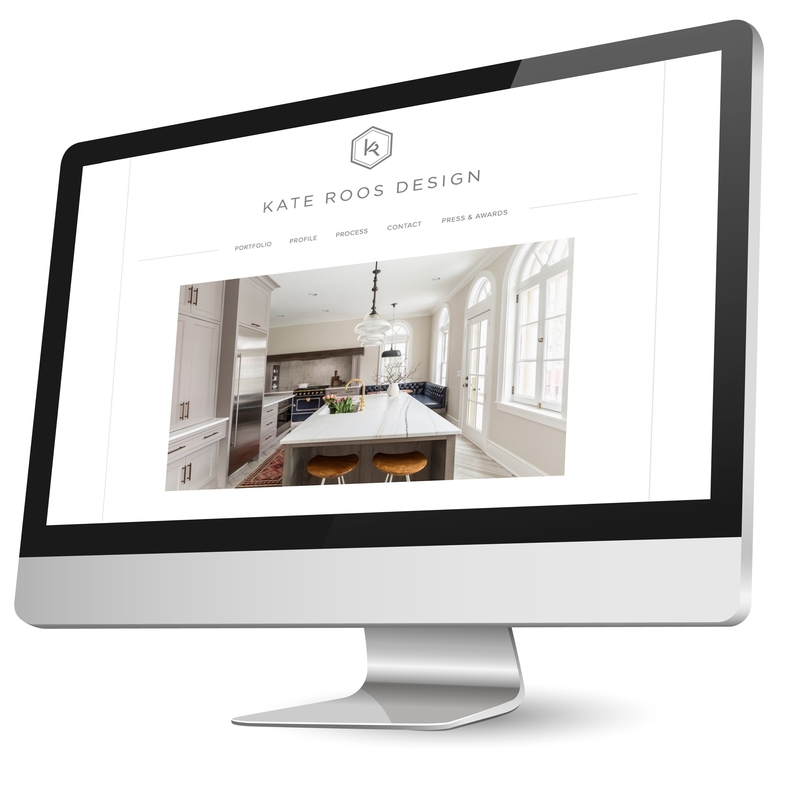 Kate Roos’ designs have since been showcased on Houzz, multiple Home Design magazines and she has received numerous design awards in the short time the company has been in business.